Do All-Age trials, and All-Age dogs, still matter? America’s first field trial for pointing dogs was held in October, 1874, on what were then the outskirts of Memphis. The winner, Knight, was described as a “black setter.” The sport grew slowly at first — during the decade of the 1880s only about half-a-dozen trials were held annually — but after that, clubs began springing up in rapid succession from coast-to-coast. Pointer breaks away at the 2010 Manitoba Championship held in Broomhill, Manitoba. The Manitoba is the oldest Canadian prairie championship first run in 1902. In those days, of course, field trials were run exclusively on native game, principally bobwhite quail and “chickens,” which could mean either greater prairie chickens or sharp-tailed grouse. (Ruffed grouse trials came quite a bit later.) And while at the time it was essentially a competition among hunting dogs, meaning that the best bird-finder was likely to be declared the winner, it’s clear that from the very beginning there was a higher, nobler purpose at work: the recognition and reward of that intangible quality known as class, and the desire to see it perpetuated. In other words, there should be more to this business than simply finding birds. Style should matter, too, and drive, and desire, and intensity, and focus, and tenacity, and intelligence, and heart…the whole remarkable host that distinguishes the great few from the ordinary many, the immortals from the unremembered. 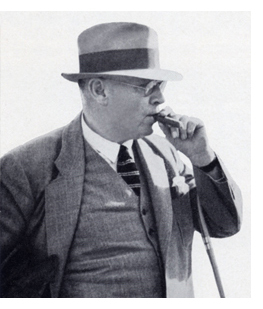 The first great chronicler of American bird dogs and field trials, A.F. Hochwalt, boiled this down to a diamond-hard formulation that remains the sport’s guiding principle. 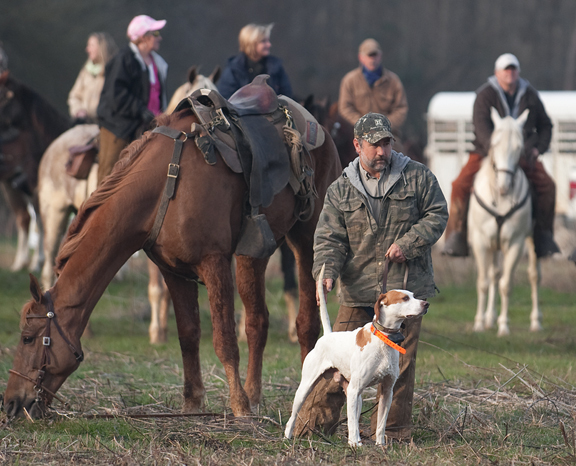 Even then, just a quarter-century after the sport’s inception, a distinct field trial “type” had emerged — and even then there were sportsmen who felt that this type had little in common with the kind of animal most bird hunters wanted in their kennels. So criticism of field trial dogs, the huge-running All-Age dog in particular, is nothing new. In one guise or another, it’s existed almost as long as field trials have. The Shooting Dog format that first gained traction in the 1950s and places less emphasis on range and more on handling response (in theory, anyway) can be viewed as a direct response to this, although over time the line between Shooting Dog and All-Age has blurred considerably. Indeed, it’s less a line, really, than a highly permeable membrane. As many observers have pointed out, the flagship stake of All-Age field trials, the National Championship at Grand Junction, Tennessee, is in fact conducted on a Shooting Dog standard — meaning, ironically, that dogs need to win one kind of field trial to qualify for the event and another kind of field trial to earn the title National Champion. Still, for every bird hunter over the years who’s insisted he wants nothing to do with “those @#$%& field trial dogs,” just as many have looked to field trial winners as their best and most reliable source of the genetic “right stuff” for producing gun dogs of the highest caliber. In thinking about the relationship between the worlds of field trials and bird hunting, I’ve developed what I call my “Mansion on the Hill” theory. The world of horseback field trials, especially its All-Age component, is the Mansion: a grand and glorious edifice steeped in tradition, drenched in romance, devoted to the preservation of a culture, a credo, and a code of values that have changed little if at all since the sport’s inception. Its inhabitants are relatively few, but their influence is enormous. 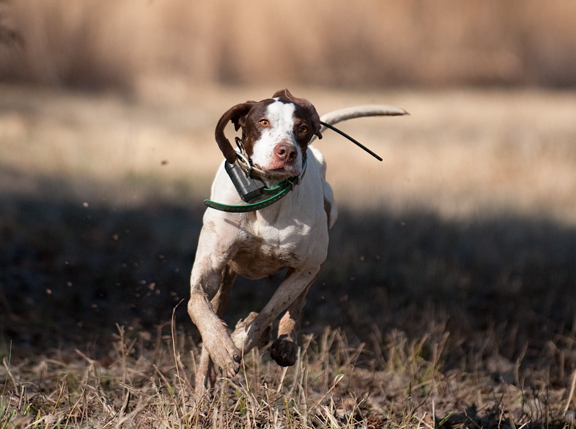 Field trials are by far the biggest driver of pointer breeding, exert only fractionally less influence on the breeding of English setters, and play a significant role in the breeding of Irish/red setters, Brittanys, and German shorthaired pointers as well. 2013 National Championship competitor Stallion handled by Tommy Davis. Any structure is only as strong as its foundation, of course, and historically it was quail hunters, more than any other group, who served this purpose vis-à-vis the Mansion. The kind of dog they wanted most closely resembled the field trial ideal, and why not? 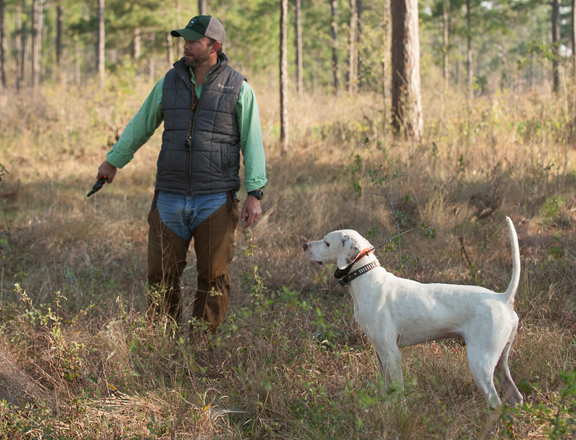 The bobwhite quail was the original field trial bird; its habits and behaviors, more than any other factor, have shaped the character of the American bird dog and our notions of bird dog excellence. 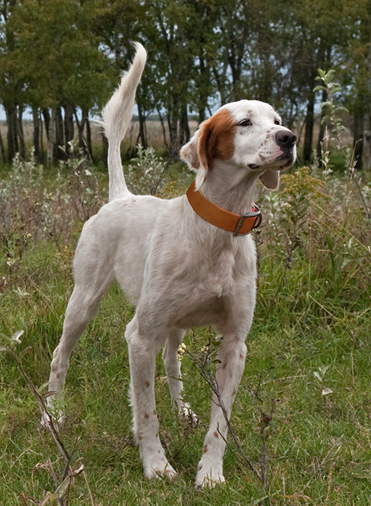 And with only minor variations, the same kind of dog that excelled on quail excelled on “chickens,” the other classical field trial bird. This dog was a tough, rugged, hard-driving athlete that really got after it, a dog so obsessively focused on finding birds that from time-to-time he might roam a bit wider and probe a bit deeper than his owner felt was absolutely necessary. He brimmed with bird sense, seethed with intensity on point, and was easy on the eyes in motion, too. And while perhaps his sire and dam weren’t field trial winners, you can bet your bottom dollar he had not just winners but Champions close up in his pedigree, their blood simmering in his. In this respect, then, the field trial realm and the bird-hunting realm were complementary: mutually supportive and mutually beneficial, each healthier because of the other. With these thousands upon thousands of quail hunters to provide a firm, stable footing (along with smaller numbers of hunters of other birds who bought into the field trial paradigm), the Mansion stood tall, its grand façades unblemished, its proud columns bathed in sunlight. It maintained this noble aspect, this sense of unquestioned importance, for most of the 20th century. 2 x National Championship winner Shadow Oak Bo trained and handled by Robin Gates, Gates Camp, Broomhill, Manitoba. And then, as if cut down by a terrible wasting affliction, the quail went away. Not everywhere, but across vast stretches of the bird’s historic range, especially that part of it lying east of the Mississippi River, hunting wild bobwhite quail became a thing of the past so swiftly that it left sportsmen dazed and reeling, as if they’d just emerged from the wreckage of a plane crash. Soon they and their dogs began to go away as well, first in a trickle, then in a flood. Whatever the fraction of bobwhite quail hunters in America today as compared to 50 years ago, it’s hard to imagine that it can be more than 10 percent. To put it another way, it’s a safe bet that in the past 50 years we’ve lost at least 90 percent of our quail hunters, along with their dogs — and it’s worth remembering here that quail hunters are more likely than other bird hunters to own multiple dogs. All-Age trainer/handler Jamie Daniels and All-Age competitor Ch. Funseekin’ Hit Man. So we not only have a smaller “universe” of pointing dog-owning bird hunters, but the composition of that universe has changed. It’d be nice to have then-and-now pie charts for illustrative purposes but the salient fact is that the largest percentage of the pointing dog demographic in 2017 is comprised of men and women who primarily hunt pheasants — and pheasant hunters, historically, have found themselves most at odds, philosophically and practically, with the field trial/quail dog camp. It was pheasant hunters, after all, who pioneered the establishment of the closer-working, more methodical Continental breeds on this side of the Atlantic. 2012 National Championship winner Connor’s EZ Button at the breakaway with scout Nick Thompson. With its foundation so profoundly eroded, it’s a minor miracle that the Mansion’s still standing at all. 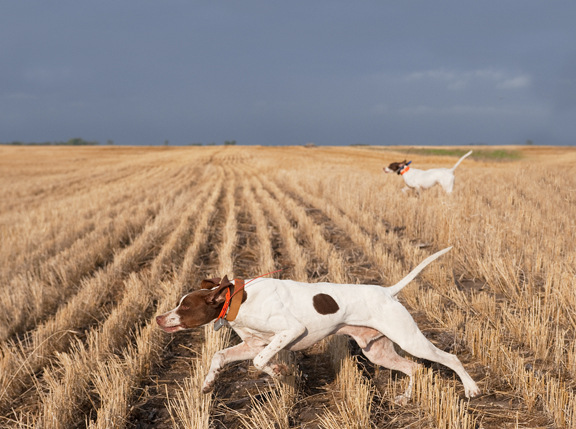 There have been other shocks as well, not the least of them the drastic reduction in the number of places where field trials can be run on wild quail, and, more importantly, where field trial dogs can be judged on them. The aforementioned National Championship, for all its history, tradition, and cachet, is no longer a wild-bird trial. It’s a released-bird trial. The irony of that is breathtaking. Little wonder that today the Mansion seems not just structurally compromised but, by the lights of many observers, so remote and disconnected from the needs and concerns of “real world” bird hunters that it exists in a kind of bubble: breathing its own air, serving its own ends, answering only to those who’ve gained admission; a self-glorifying, members-only game relevant to the participants but to hardly anybody else. Nero fiddles, and Rome burns. Troubling allegations — deeply so. Never before, it seems to me, has it felt so urgent, or so necessary, to ask the question, do All-Age field trials and the dogs they exalt still matter? Next issue, in Part II of this story, I’ll put this question to several of the most astute, experienced, and insightful bird dog men I know. I suspect their answers may surprise you — and I guarantee that their perspectives on this vexing and thorny issue will serve up a banquet of food for thought. Winner of the 2017 Continental Open All-Age Championship, Awsum In Motion handled by Luke Eisenhart, scouted by Tommy Davis. The Continental is run on the quail-rich Dixie Plantation, Greenville, Florida. 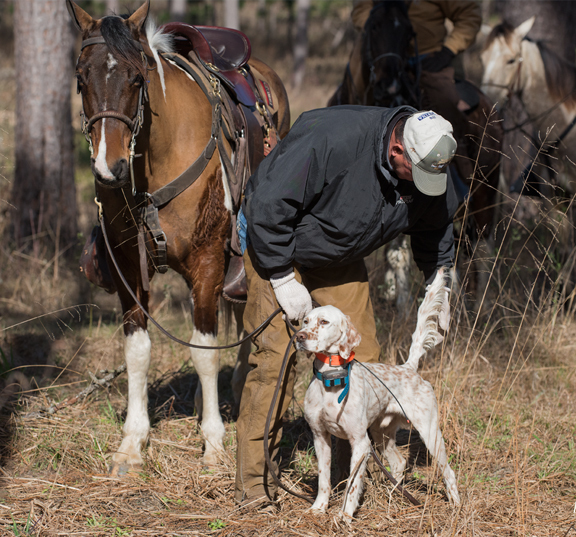 Part I of this story by Tom Davis, Editor-at-Large at Pointing Dog Journal was published in the May/June 2017 issue of PDJ. Back Issues containing Part I and Part II are available at PDJ. Thanks to Tom Davis for pursuing my suggestion of writing a story about All-Age dogs and to PDJ Managing Editor Jason Smith for recognizing the importance of the topic to pointing dog enthusiasts. Views expressed are those of the author’s.